CHRISTIANSTED — Police said Tuesday that three men are wanted for questioning in the Easter Monday Massacre that took place near Watergut Homes as several people were playing dominoes on the last day of a holiday weekend. Noel Boyd of Lorraine Village is considered the prime suspect in the shooting that left brothers 29-year-old Kanta Payne and 33-year-old Kayan Payne of Estate Grove Place dead of gunshot wounds Monday afternoon, the VIPD said. Correcting a preliminary report from an eyewitness, police said that Harold Willock, Jr. was shot in the foot rather than the leg. Willock, who is the son of Chief V.I. Superior Court Judge Harold Willock Sr. on St. Croix, sustained an injury that was not considered life threatening. Unofficial preliminary reports are that the suspects turned themselves in to police and that is why the All Points Bulletin for Boyd and two other men was cancelled. When police confirm that report this story will be updated. 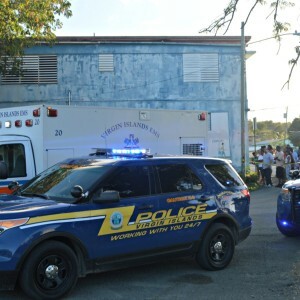 “Monday, March 29, 2016 at about 5:14 pm, the 911 emergency Call Center received a report of gunfire in the vicinity of the Harmony Grocery Store in the Water Gut area. Upon arrival to the scene, officers found two male individuals lying on the ground lifeless. Emergency Medical Technicians responded to the scene and pronounced the victims dead on the scene after finding no signs of life. The 911 Emergency Call Center also notified officers that a third gunshot victim that had been shot in his foot was transported to the Juan Luis Hospital and received medical treatment. Preliminary information revealed that the victims were playing dominoes in the vicinity of the Harmony Grocery Store in the vicinity of Water Gut, when a male individual who was sitting in a red SUV reversed close to the victims, got out of the vehicle, and started firing shots towards victims. The suspect then fled the area in the vehicle. The deceased victims were identified by next of kin as thirty-three (33) year old Kayan Payne and twenty-nine year old Kanta Payne of Estate Grove Place who sustained multiple gunshot wounds about the body. The third victim was later identified as Harold Willock Jr. who sustained a gunshot wound to his foot. The suspect in this shooting incident has been identified as Noel Boyd of Lorraine Village, who was accompanied by Kareem Williams also known as “Little Click” and another male individual with a balled head at the time of the incident. An All Point Bulletin (APB) was placed on the suspects involved in this matter and was later cancelled.